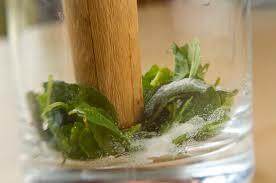 Combine mint, sugar, and 1 cup water in a medium saucepan over medium-high heat. Bring to a boil, then reduce heat to low and simmer, stirring occasionally, 5 minutes. Let cool to room temperature. 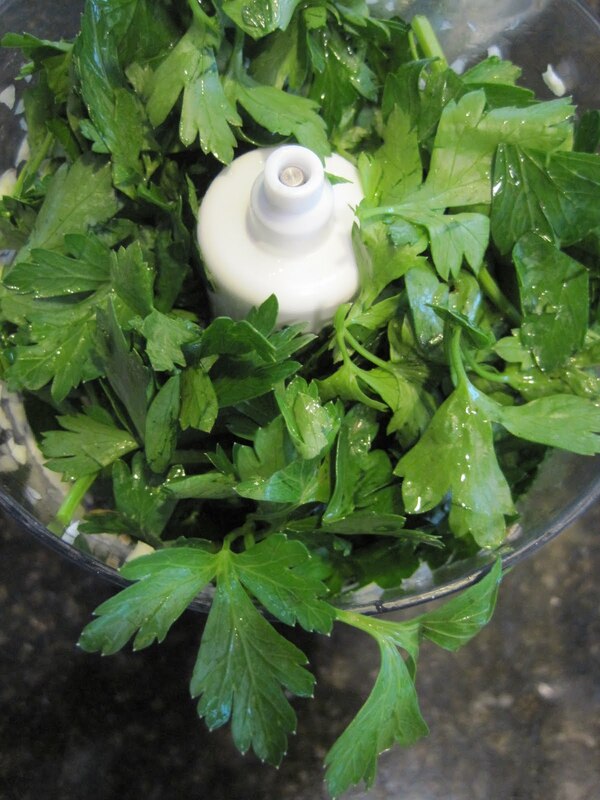 Using a fine-mesh sieve or a colander lined with cheesecloth, strain mixture into a heatproof container and chill at least 25 minutes. 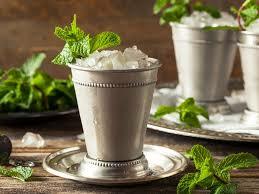 Using your hands, lightly slap mint leaves, being careful not to bruise them, and place in a julep cup. Add 1/3 cup ice, then 2 tsp. Mint Simple Syrup. Pack another 1/3 cup ice on top. Add 1 oz. bourbon and stir. Add another 1/3 cup ice and remaining 1/2 oz. bourbon. Top with remaining 1 cup ice, tightly packing into a dome. 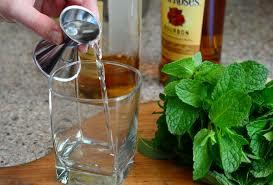 Insert a straw into ice and garnish with mint sprigs. 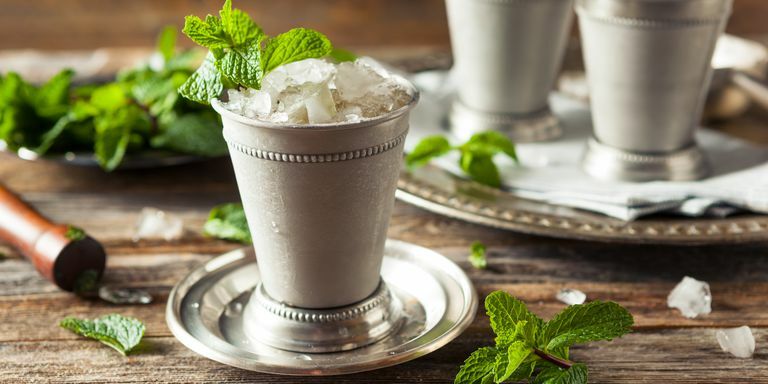 The Mint Simple Syrup can be made up to 5 days in advance and stored in the refrigerator. 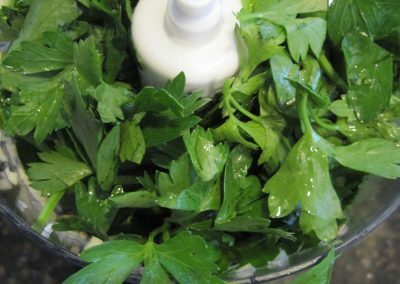 Pulse garlic, mint, oil, and 1 cup parsley in a food processor until very finely chopped; season with 1 teaspoon salt and 1/4 teaspoon pepper. Season chicken with salt and pepper and spread herb paste over flesh side. Place, skin side up, on a wire rack set inside a rimmed baking sheet; chill at least 3 hours (the dryer the skin, the crisper it’ll get). 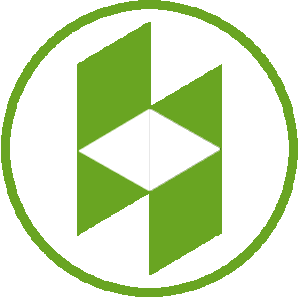 Place a rack in lower third of oven; preheat to 425°F. 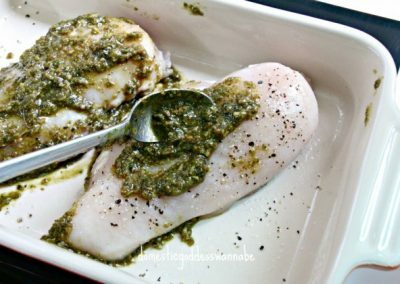 Pat chicken dry and place, skin side down, in a large ovenproof skillet, preferably cast iron. 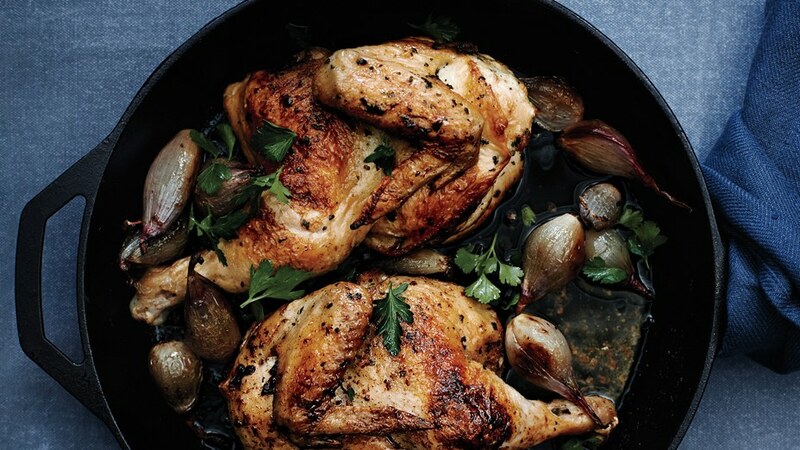 Set over medium-high heat and cook, undisturbed, until skin is golden brown, about 5 minutes. Add shallots to skillet and transfer to oven. 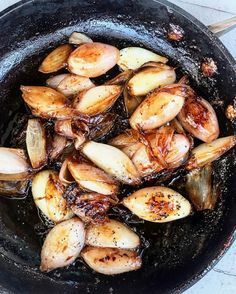 Roast, turning shallots once, 20–25 minutes. 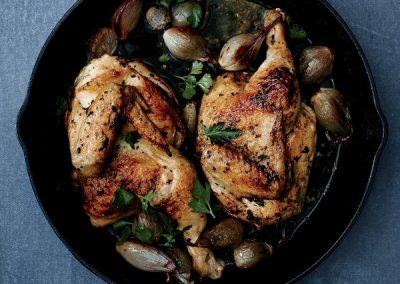 Turn skin side up and roast until skin is very crisp and an instant-read thermometer inserted into the thickest part of thigh registers 160°F, 8–10 minutes longer. 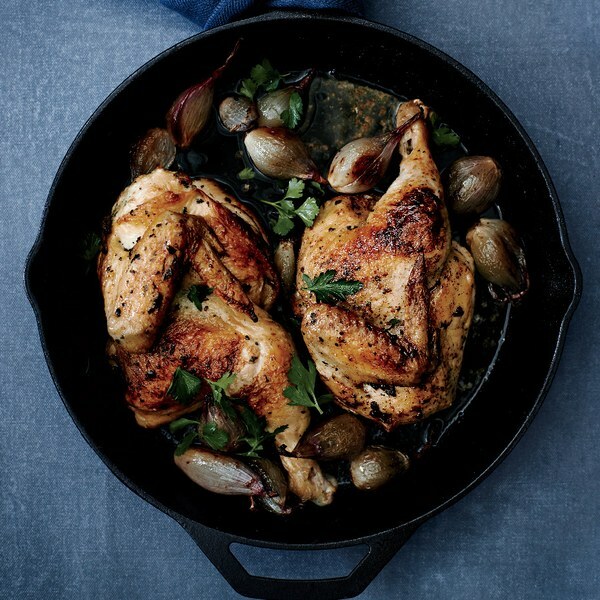 Serve chicken with shallots, parsley, and any pan juices. 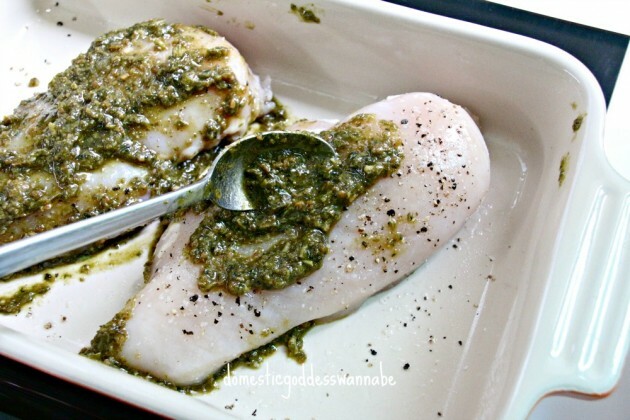 DO AHEAD: Chicken can be rubbed with herb paste 1 day ahead. Keep chilled. 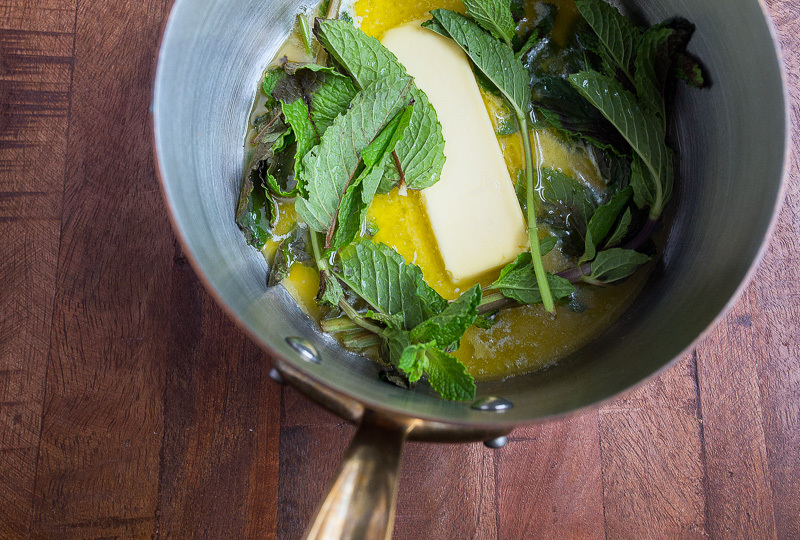 Place the butter and mint in a small saucepan over medium heat. Melt the butter, swirling occasionally. 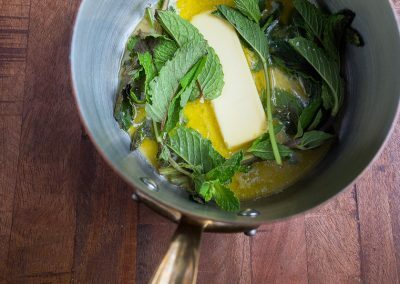 After about 2-3 minutes, when you can smell the mint, turn the heat off and let the butter continue to steep for 30 minutes. Strain the butter, pressing the leaves to extract all of the butter from the leaves. Meanwhile, line two baking sheets with parchment paper, and set aside. In the bowl of a stand mixer, add the butter and sugars. Beat until light and creamy, 3-5 minutes. Next, add the egg and vanilla and beat for an additional minute. Slowly add the dry ingredients to the mixer while running, stopping to scrape the bowl as necessary. 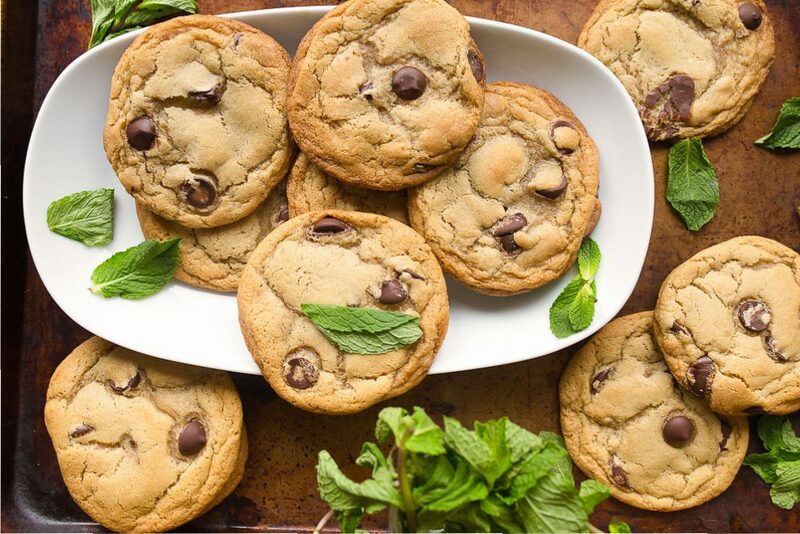 Finally, add the chocolate chips and mix just until combined. 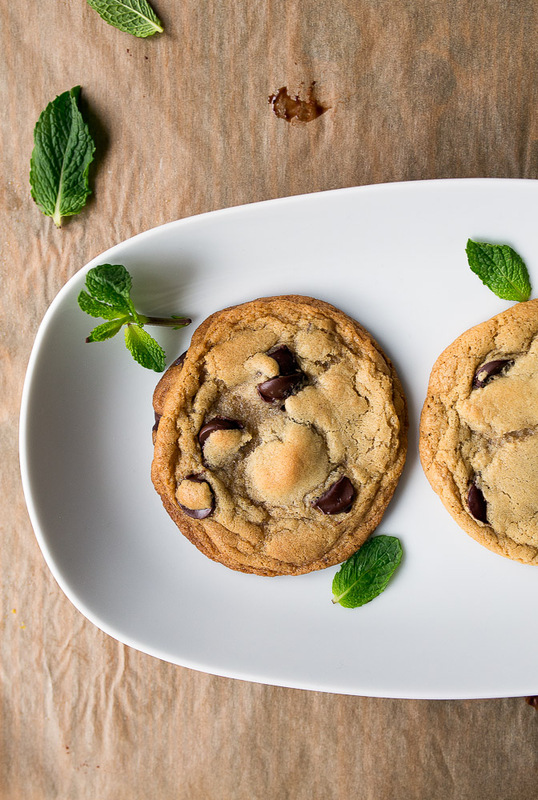 Remove the cookie dough from the bowl, wrap in plastic wrap, and press flat into a disk. Chill for 1 hour. Divide the dough into 12 equal portions, rolling into 12 balls. Space 6 balls on each cookie sheet (the cookies will spread considerably). Bake for 11-12 minutes, rotating the pans half-way through. 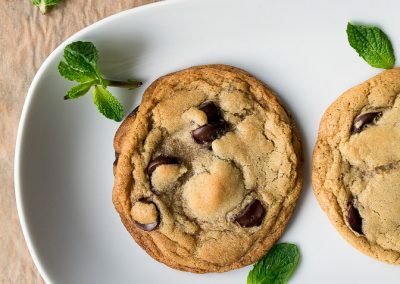 Let cool on the baking sheet for 2 minutes, and then move to a cooling rack to cool completely.